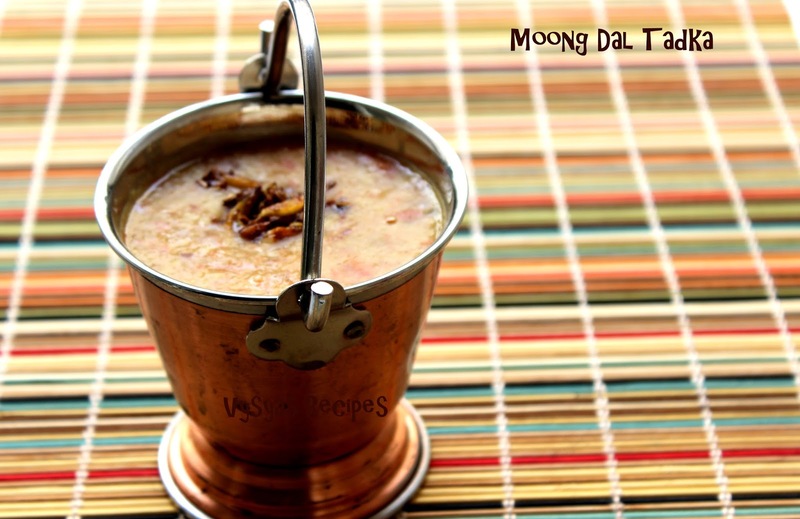 Moong Dal Tadka is a Popular North Indian Dal recipe,made with Moong dal, onions & tomatoes,tempered with cumin seeds,fennel seeds & Garlic. It goes well with Chapathi,roti,Jeera Rice,Rice & Mild Pulao's.In my home,my mom often make this for chapathi's. 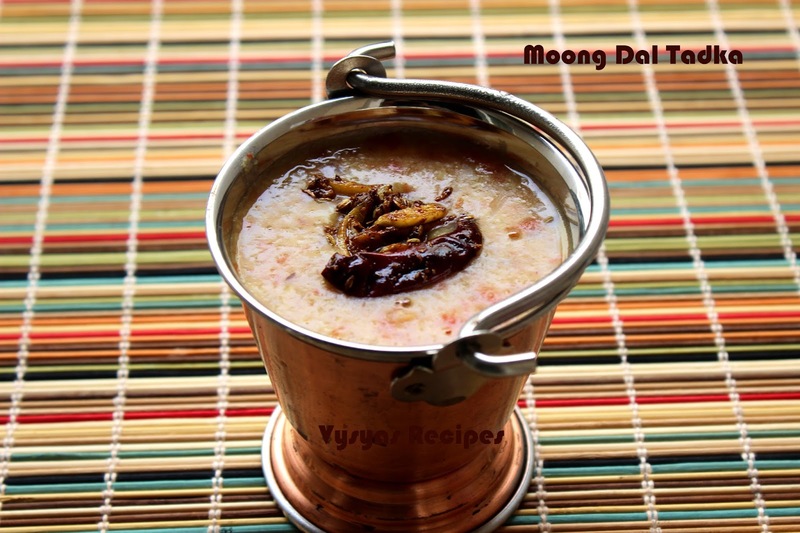 Yellow moong dal is extremely light and easy to digest. It can be eaten by those who are ill without any second thought. 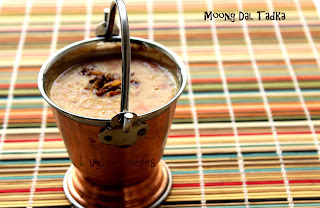 It is good source of protein and dietary fiber.Now, we learn to make Easy Protein & Fiber Rich Moong Dal Tadka. Turmeric - a Generous Pinch. Chop the onions,tomatoes, Green chillies & Ginger, finely. Saute the Moong dal, till u get nice Aroma. Then add chopped onions,tomatoes,Ginger & turmeric powder to it. Then add 2 cups of water and pressure cook for 6 whistles. When pressure subsides open the lid, mash the dal well, till it gets creamy consistency.Then add 1 cup of water & needed salt.Mix well. Then switch on the stove, and simmer it for 3 - 4 minutes. In a Mean while, heat the butter,when it melts, add cumin seeds,fennel seeds, when it sizzles add Red chilly and Garlic. When Garlic turns light Golden brown colour, add Garam masala and switch off the flame. Mix well, Garam masala, gets cooked in the heat of the it.Pour the Tadka over the dal, & switch off the flame. Serve hot with Roti's,Chapathi's, Jeera Rice & Mild Pulao's. Sauting the Moong dal gives, nice aroma to dal. Always pressure cook the dal, to get creamy texture. Adding fennel seeds gives nice flavour to Tadka. After adding Garam masala, switch off the flame, else Garam masala may burnt. Adding Red chillies gives spicy taste to Tadka. Love this yummy tadka and cute presentation!